Forums: Why Are We Not Helping More in the Wiki? "The Linux Foundation just re-launched Linux.com today and Novell is a proud sponsor of the brand-new site. The site was designed with input from community members and aims to empower the Linux community to share knowledge, get questions answered, download the right software and find hardware to solve problems. It will also help connect Linux users and developers by allowing them to showcase their skills through features like guru listing as well as give them access to job and collaboration opportunities." As part of the CommunityWeek our Team has created the "CommunityWeek Special Edition"
"It's hard to find free time to talk about what's going on during the Community Week, but I guess it's a good thing :-) But I'm quite excited about what we can do today: it's testing day on the GNOME side of the Community Week. There are several things that we prepared for this session..."
"Please join us for the openSUSE-GNOME BugDay code named “Community Effort” tomorrow (Friday 14 MAY 2009) at 1100EDT/1500UTC." "This year I’m going to participate in the Google Summer of Code and my goal for this summer is to add support for oauth to the openSUSE BuildService. My mentor is darix. In the following I’m going to describe the project and its planned implementation a bit further. oauth is an open protocol which describes the required steps for a client to authorize with an API. In traditional protocols the client asks for the user’s credentials (most-likely a pair of an username and password) and uses these credentials to authenticate with the API. One drawback of this approach is that the user has to trust the client that it stores the credentials in a secure way and that it doesn’t misuse it. oauth tries to solve these issues in a more elegant and secure way." "This community week we got a couple of new contributors to openSUSE-Education project, we got artists to come up with new looks for live images. One of the first theme is called Li-f-e(Linux for Education)." "YaST partitioner can now (since feature #305691 is implemented) do ext4 and in addition to that (to really stress-test the feature and have possible bugs reported asap), ext4 has been made a default filesystem for openSUSE 11.2. And though I'm not in the position to really appreciate and make use of all the cool ext4 features, I'm sure there is bunch of our users that will." "As you may know, ext3 is the default filesystem in SUSE Linux Enterprise 11,and it’s a natural assumption that ext4 will eventually be supported in SLE 11 as well. I don’t know exactly when that will be however, so don’t bother asking me. :-) HP’s Jeffery Layton has written a nice article describing the history of the forthcoming ext4 filesystem, and he’s also constructed some initial benchmarks vs ext3. If you’re looking for a detailed how-to, this is not it. But it does give a nice overview of the highlights and explains how the ext family of file systems has come about." "Few months ago I tried to use OSC - our command-line client to BuildService under Windows. I failed because of the hard-coded dependency on python-rpm module, which is (of course) not present in Python package for Windows. Today I saw Feature #306354, so I decided to give it a try again. Fortunately, the recent code changes made this task a lot easier! :-) I still had to create some fixes and hacks, but they are now commited to OSC subversion and shouldn’t cause problems anymore." "A few days ago Mozilla Labs announced the release of Prism 1.0 Beta. I always was following from the side how it evolved but never tried it myself up to now. As it moves slowly out of the labs status I started to package it for openSUSE and so it is available now through the openSUSE Build Service’s “well-known” mozilla:beta repository as prism and prism-refractor which is the Firefox addon helping you to create webapps even easier." "I’m happy to announce that OpenOffice.org 3.1 rc1 packages are available in the Build Service OpenOffice:org:UNSTABLE project. They include many upstream and Go-oo fixes. Please, look for more details about the openSUSE OOo build on the wiki page." "When you are writing some applications using database for saving data you may need some kind of tool that show you where are the biggest performance catch. In such situation you could take advantage of pgFouine - a PostgreSQL log analyzer. This tool is able to show you great looking report of queries you are using with informations like average duration, how many times query is executed (it support grouping of query so if there are queries with difference in WHERE part of query (changed id and stuff) this query will be still assigned in one group with others)." "At last year’s Akademy the vision of the Social Desktop was born and first presented to a larger audience. The concept behind the Social Desktop is to bring the power of online communities and group collaboration to desktop applications and the desktop shell itself. One of the strongest assets of the Free Software community is its worldwide community of contributors and users who belief in free software and who work hard to bring the software and solutions to the mainstream. You can find more of this conceptual background on Frank Karlitschek’s slides from his keynote at Akademy 2008." "The first beta of MonoDevelop has just been released! I'm really excited on seeing a beta release of MD after so much time working on it, because it means that:..."
"Hi, I decided to write this guide for two main reasons, firstly I enjoyed making my openSUSE 10.3 Tutorial a lot as it taught me loads of new things about Linux and making tutorials, along with things relating to LaTeX. 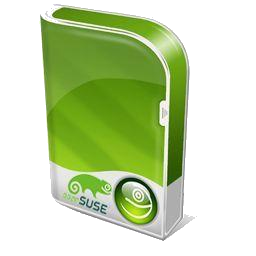 Secondly, a new version of openSUSE came out, version 11.1. I had been waiting for this release for a while as it was the first release which had a stable version of KDE4 as the default desktop environment. If I'm being honest then I'd have to admit that I love it. I enjoy using openSUSE 11.1 and I seem to be able to get on with my tasks more efficiently, perhaps that's just the Linux under the hood though ;)"
"Wanna know what we’re doing to make your laptop run longer? Have a look at the new wiki page I have just finished. It talks about three major topics:..."
"As we promised last week (threatened?) now that the foundation for Moonlight 2 is in place, we will be doing weekly releases for folks to try out, and to increase the feedback that we have received. Thanks to everyone that provided bug reports and contacted us about the problems with last week's preview. In particular the issue affecting Ubuntu and SLED 10 users has been fixed and the plugin should work." "Whenever this saga reaches a 'Resolved' status there will be a big sigh of relief. Nevertheless you'll find it interesting to read the comments here and the article link within." Why Are We Not Helping More in the Wiki? "Without a doubt the Wiki can be a great source of information but as is highlighted in this thread, much could be done to improve it - But not much is being done. It depends on us, The Community! Watch out, some strong opinion in this 'soapbox' thread." "If you are not a database user this article might be all 'Techno-Babble' - But it's an interesting question and one that should provide some answers/replies with useful information." How to Get a Job Supporting openSUSE? "Linux certification courses are available and maybe you are thinking "What can I do with my skills - How can Improve - What opportunities are available to me if I take a Linux Certification course?" Some interesting comments in this thread, combined with personal experiences." "My first entry to the Novell CTO blog was entitled “The Linux Desktop has arrived“. How well have we done? Where are we today? What can we expect in the immediate future? Not Too Bad!" "With the fifth release candidate of Linux 2.6.30 out a few days ago, the development of the next kernel version in the main development line continues to progress. As indicated by Linus Torvalds in his release email, the changes are slowly decreasing in number and size, which is what usually happens at this development stage." "Wake up all at Compiz as Beryl is alive and kicking ! You might be interested that over a weekend a mate and myself introduced Beryl back in to the fold. This is a direct result of our frustration of how bloated Compiz has become and is becoming more of a fashion thing rather than functional for having multiple desktops." lists.opensuse.org has 36840 (-11) non-unique subscribers to all mailing lists. The openSUSE Forums have 27927 (+310) registered users - most users including guests ever online was 7771, 02-Dec-2008 at 17:31. 2827 (+36) of 6732 (+100) registered contributors in the User Directory have signed the Guiding Principles. The board has acknowledged 293 (+0) members. The Build Service now hosts 6312 (+105) projects, 66270 (+366) packages, 12229 (+202) repositories by 14838 (+155) confirmed users.